The look of Hancock Park is changing. 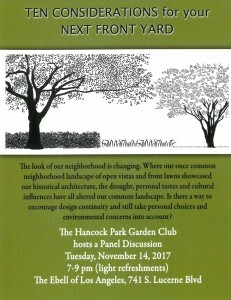 Where our once common neighborhood landscape of open vistas and front lawns showcased our historical architecture, the drought, personal tastes and cultural influences have all altered our common landscape. 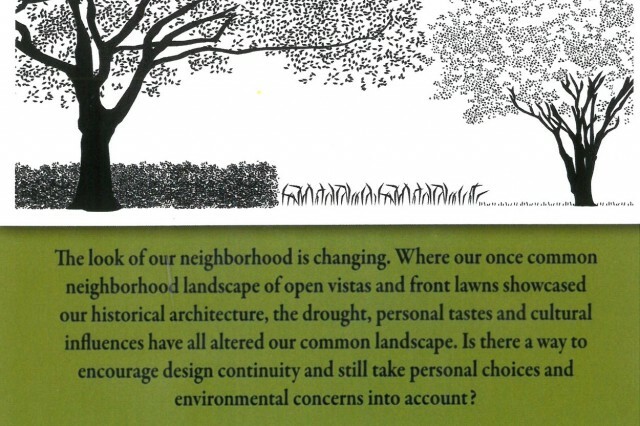 Is there way to encourage design continuity and still take personal choices and environmental concerns into account? 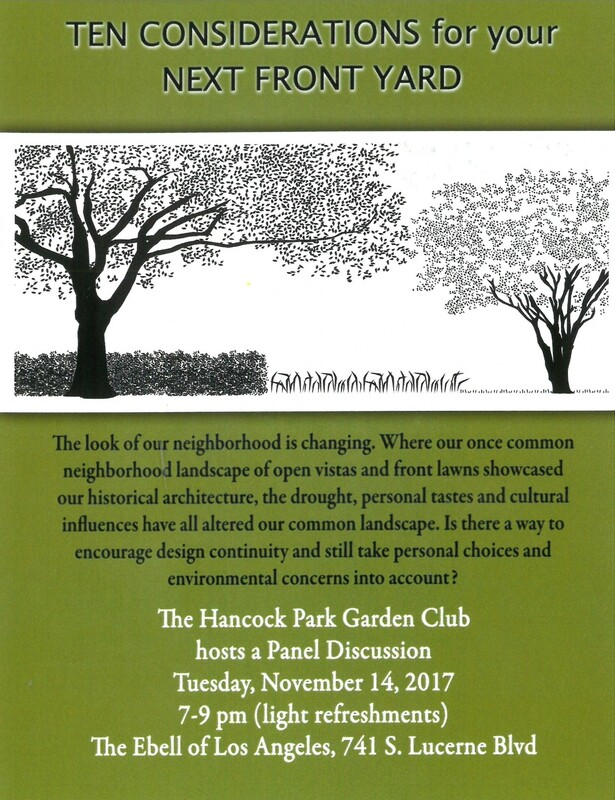 Join us November 14th at the Ebell! Click download for more information.